GPS and wireless technologies enable instant assistance during medical emergencies. u-blox, the Swiss positioning and wireless chip and module company, has been chosen for global positioning and embedded 2G/3G wireless technologies by MobileHelp, America’s leading provider of M-PERS (Mobile-Personal Emergency Response System) technology. Based on u-blox’ LISA 2G/3G wireless modem and MAX GPS modules, the comprehensive system includes compact, portable alert devices that function in and around the home, and while travelling. “As the population ages, more and more people are choosing to remain independent for as long as possible”, said Robert Flippo, President of MobileHelp. Unlike traditional 911 direct dial services, MobileHelp devices deliver instant positional information as well as personalized medical data to an emergency response center at the touch of a button. The system is integrated with nationwide wireless voice, data and satellite GPS technology to provide real-time medical monitoring services, location tracking, and instant voice contact with trained emergency response operators. MobileHelp also offers Caregiver Tools, an innovative event notification and online tracking platform that keeps families and caregivers informed of an emergency event. With AT&T as connectivity partner, the devices work in 97% of the inhabited areas of the USA. MobileHelp comes in three configurations, “CLASSIC” for home-monitoring over fixed line telephone, “SOLO” for travelling and at homes without a fixed line telephone connection, and “DUO”, for travelling and at homes that have a fixed line telephone connection. 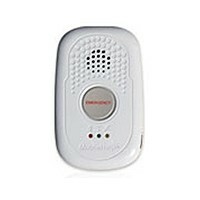 MobileHelp’s innovative alert products have been developed together with Singapore-based Daviscomms, a leading design and manufacturing partner providing advanced engineering services to customers in the consumer and industrial markets worldwide. 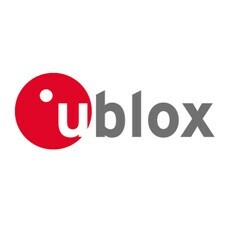 Swiss-based u-blox (SIX:UBXN) is the global leader in positioning and wireless semiconductors for the consumer, industrial and automotive markets. Our solutions enable people, vehicles and machines to locate their exact position and wirelessly communicate via voice, text or video. With a broad portfolio of chips, modules and software solutions, u-blox is uniquely positioned to enable OEMs to develop innovative personal, professional and M2M solutions quickly and cost-effectively. With headquarters in Thalwil, Switzerland, u-blox is globally present with offices in Europe, Asia and the USA.